Type English in the box given below. As soon as you'll press SPACE, the word will convert in Bengali. For example, to write "বাংলা" you should type "bangla" and then press SPACE key. If you want to type something in English in the middle of Bengali text, press Ctrl+g to toggle between English and Bengali. 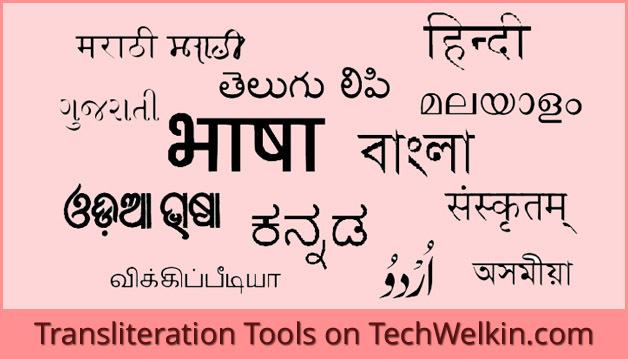 TechWelkin English to Bengali Typing Tool allows you to online type Bengali text with ease. Bengali is also known as Bangla. The tool has several great features. All you need to do is to type using a common English keyboard and the typed text will automatically convert into Bengali script. This tool follows a phonetic scheme for transliteration of English into Bengali. This means that you type the way you speak and the tool will change the script. This English to Bengali translation tool is of great use for those people who generate text content in Bengali language. Such people include professional bloggers, website managers, content writers, authors and journalists. If you need to develop a website or blog in Bengali language, you can also use this tool to get the Bengali text to convert user interface text strings. Bengali is the main language in West Bengal (India) and Bangladesh. The language is also spoken in some parts of Bihar and Odisha. There is rich literature available in Bengali as doyens like Bankim Chandra, Sarta Chandra and Satyajit Ray produced marvelous work. Today, in the age of digital revolution, online content in Bengali is still in the early stages of development. In such a scenario, this English to Bengali translation tool is very useful as even a non-typist person can use it to write online in Bangla. You can send the typed Bengali text as WhatsApp status messages, Facebook updates, Tweets or blog posts. We encourage our users to type in their mother tongue as it enriches our culture. The above tool is very easy to use. You will have no difficulty in producing Bengali text. The tool gives you Bengali text in Unicode format. This ensures that this text will be readable on all the computers without any need of a special font. Unicode is the universal standard for Bengali script. Most of the software manufactures have made it sure to provide Unicode support in their software. This is the reason Unicode text is readable everywhere. It is highly recommended that you no longer use the old legacy fonts of Bengali script. Text typed in old non-Unicode fonts can be read on a computer only if that font is installed. We hope that you will find this English to Bengali Online Typing Tool useful. Do let us know your feedback, please.